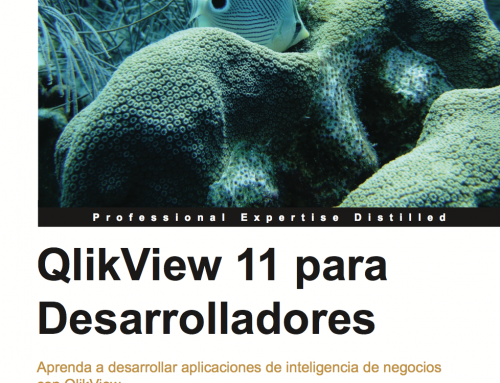 Inicio/QlikView 11 for Developers: What’s Inside? It is with great excitement that I post this announcement to let you know a bit more about the “QlikView 11 for Developers” book that my friend Barry and I have co-authored. As you may already know from our initial announcement, the book will officially be released around November 15th (though you can submit your pre-order now). If you’ve heard the news, you may be wondering what you will find inside the book, who is it for, and what are the features that make it different from the various other resources available for learning QlikView. Let’s go through some of these features. The book is filled with examples that will let you take the theory into practice right away. We support this hand-on experience by providing a full dataset used across the entire book, and around which we build a fully-functional QlikView document that contains a dashboard, various analyses (both basic and complex to build) and reports, using the well-known DAR principle. Chapter by chapter, a piece of the final QlikView document is built, which allows you to follow its evolution from start to finish. It also enables us to cover different development challenges that you may encounter in a real-world QlikView project. We made sure to cover both backend and frontend development, so you will find that all 14 chapters cover different topics, from scripting and data extraction to data modeling, design, charts and expressions, as well as security and everything in between. 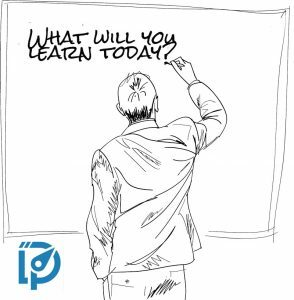 We also talk about various best practices related to each of these topics. All of the examples discussed in the book are complemented with solution files for the reader to follow the exercises and compare his/her work. The QVW files we provide are Personal Edition-enabled, which means that a purchased QlikView license will not be required to open them. Although the case is built around a fictitious company, the data we use in our examples and final application is real. Thanks to the Open Government initiative and the Bureau of Transportation Statistics of the United States, which compiles and maintains a complete dataset about Airline Operations in the US, you will able to work with real data and build a QlikView application to analyze flights, enplaned passengers, cargo, etc, across multiple dimensions such as carriers, airports, cities, aircraft types, etc. I invite both newcomers and seasoned QlikView developers to place your orders and get this book on your hands. DO you have it in Kindle version? Yes, it will be available for Kindle, as well as other e-formats. What is DAR Principle? I googled it and can’t find a reference. DAR stands for “Dashboard, Analysis and Reports”, which are three different ways in which business users “consume” information. When building QlikView applications, we can structure our document layout so that these different “needs” are fulfilled and each user type can access the information he/she requires in the way he/she finds more convenient. Este fin de semana he comprado tu libro que has publicado recientemente. Bien al tratar de bajar los ejemplos para desarrollar el libro la pagina (www.pcktpub.com) no tiene esos archivos. Al ver esta situación me comuniqué con ellos y me respondieron esto. “Thank you for contacting Packtpub.com.Please quote the complaint number BK261120121610 in your future correspondence. I have checked with the support editor as well as our records. However there are no code files for this title. Entonces en este momento estoy sin poder avanzar, podrias enviarme los archivos a mi correo mientras todo eso se soluciona?. Gracias por ponerte en contacto y una disculpa por el inconveniente. Te he enviado los archivos a tu correo electrónico. 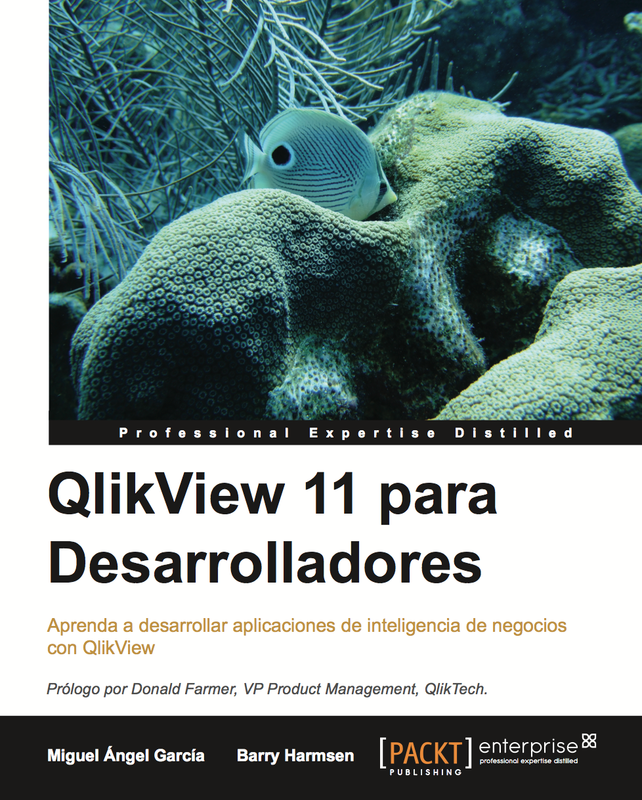 Cuál es la diferencia de este libro con los manuales de certificación QlikView Desginer y Developer 11? Gracias por ponerte en contacto. La principal diferencia entre nuestro libro y los manuales de certificación es que los manuales están pensados para servir de apoyo a un curso impartido por un instructor, mientras que el libro está pensado para auto-aprendizaje. Por lo mismo, la explicación que encontrarás en el libro para cada uno de los ejemplos contendrá tanto la parte técnica, la parte teórica y en muchos casos el razonamiento de análisis detrás del mismo. Todo esto, siguiendo un formato paso a paso en cada ejercicio. Adicionalmente, el libro cubre muchos temas que no se cubren a fondo en los manuales de Designer y Developer, tales como Set Analysis, Link Tables, expresiones avanzadas (Aggr, Dollar-Sign expansion), así como optimización del modelo de datos. Tal vez estos temas se cubren de forma básica en los primeros cuatro manuales y un poco más a fondo en el curso de Developer III, finalmente los manuales de los cursos deben cubrir todos los temas también sin excepción, pero finalmente es el formato y la forma de transmitirlos lo que hace la diferencia. Espero te des la oportunidad de explorar el libro y cualquier comentario del mismo es bienvenido. I’m trying to download the files from https://www.packtpub.com/account, but I can’t find them. It says they will email me the files when I register. I registered a few hours ago but still have not received anything. I’m sorry for any inconvenience this has caused, but it’s something the Publisher is working on and I expect it will be fixed soon. In the meantime, I will send a download link to your email so that you can get the files. quisiera adquirir el libro, pero lo preferiria en Espanol, es posible? donde lo puedo adquirir? De momento el libro está solo disponible en inglés, y no hay planes concretos de publicar una versión en español. Espero te pueda servir en la versión actual. me encanto conocerte en Qonnections. Quisiera que habláramos de una Conferencia sobre In Memory, por favor contáctame para plantearte nuestra necesidad. I recently purchased the book, and it has already paid for itself, in the knowledge I have acquired. I would recommend it especially for Qlikview newbies. I have purchased the book but cannot find the QVD’s that are associated with each chapter. I downloaded the code package and it only contains QVS files. Could you tell me where I can find the QVD’s? Can you pleas let me know where you downloaded the files from? We’ve been using the following direct download link: http://bit.ly/CodeBundle and it contains a (800MB) zip file with all database, qvd and qvw files. Can you confirm you’ve used the same link? Thank you for the link and the quick reply! I downloaded the code bundle from packtpub.com/support. Their link and zip file package were completely different than what you have provided. Your link has everything that I need. Glad I could help. I will let the publisher know about this so they can update their package.